When Jimmy Floyd Hasselbaink boarded the Atletico Madrid team bus headed for the Copa del Rey final, he knew he was joining his team-mates for the last time. But, he had no idea that his next destination would be decided by the time he stepped off. The striker sat down and settled in for the journey to the Mestalla stadium in Valencia when his phone rang. It was Gianluca Vialli. Click here to watch the full interview with Jimmy Floyd Hasselbaink. "He said: 'I know you have a game, I just want you to know that we are interested. Concentrate on your game but afterwards let's talk'", Hasselbaink tells the Transfer Talk podcast. Having been denied a move to Stamford Bridge from Leeds just a year earlier, Hasselbaink, who had left England on a rather sour note after a breakdown in his relationship with manager David O'Leary, was eager to return and prove a point. "He always tried to compare me with Ian Wright. He would always say: 'Ian Wright would do this or that'. That made me even hungrier when he was on my back." "I could have joined Chelsea at that time," he recalls. "They wanted to talk but David O'Leary did not want to sell me to an English club, even though he didn't want to keep me. 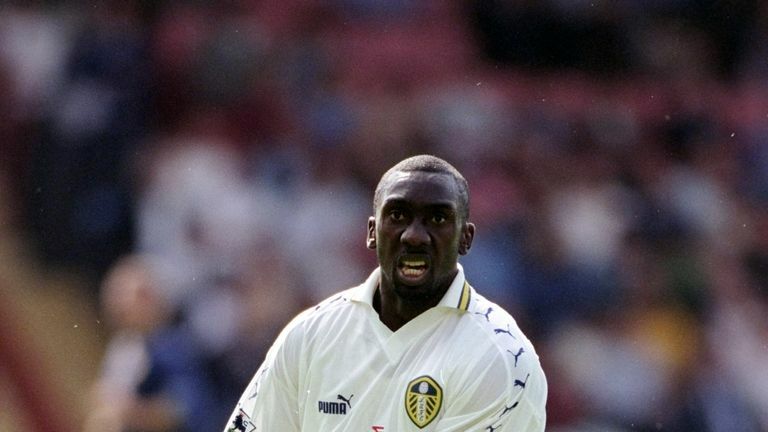 Jimmy Floyd Hasselbaink reveals all on his career to the Transfer Talk podcast. "I wanted to stay. I was forced to ask for a transfer request so that they could tell the Leeds fans that I wanted to go." Hasselbaink's regret at the manner of his Leeds exit is clear. After all, he had enjoyed his first taste of English football under George Graham's tenure at Elland Road. "George Graham is a single-minded person and that is why he has always been so successful," says Hasselbaink. "That is his way and he believes in his way. "We were all aboard and that is why we were so successful. "He always tried to compare me with Ian Wright. He would always say: 'Ian Wright would do this or that'. "That made me even hungrier when he was on my back." As the 1999-2000 season began, Hasselbaink flew to Madrid to meet up with Claudio Ranieri's struggling Atletico side. It was a culture shock for the Dutchman, who was bemused to find a bottle of wine on the table in the dressing room before a game. As he had done at Elland Road, Hasselbaink continued to score with impressive regularity. But, the team were not so successful and by the time the big cup final came around, Madrid knew they would be playing the following season in Spain's second tier and a relegation clause in their star striker's contract meant his spell at the club would be coming to an abrupt end. A 2-1 defeat in the final, to an Espanyol side featuring Mauricio Pochettino at the heart of its defence, brought the curtain down on a miserable season for Madrid. "Chelsea was, at that time, the club that did things a little bit differently," Hasselbaink explains. "They had the Italian stars and the flair and played good football. "I wanted to come back to the Premier League and I wanted to play for Chelsea." 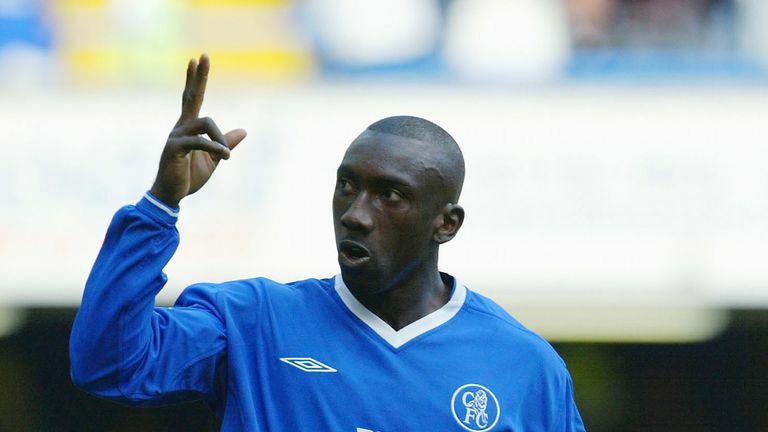 After a transfer which he describes as "one of the smoothest deals", Hasselbaink arrived back in England and immediately felt the pressure of the media and fans, keen to see if he was worth his club-record £15m fee. Winning a second Premier League Golden Boot that season, scoring five more than when he lifted it with Leeds, was the perfect way to answer his critics. Once again though, Hasselbaink's individual efforts were shrouded by some poor team results and, just five matches into the season, Vialli was gone. A reunion with Ranieri was some relief for Hasselbaink, who owed the Italian very little after their time in Spain. Plenty more goals followed for Hasselbaink, but with Chelsea in financial trouble and desperate to raise funds midway through the 2003-04 season, the striker was almost sent back to La Liga to join giants Barcelona. "There was a fee agreed. Louis van Gaal was at Barcelona, he wanted me there. He wanted competition for Patrick Kluivert," Hasselbaink says. "I think the transfer between the clubs was agreed on the Friday. We played Man United [at the weekend]. Ranieri asked me: 'Do you want to play?' Because he already knew. I wanted to play the last game and then move on. "I got kicked on my ankle by Phil Neville and I had to come off. My ankle was really swollen but it wouldn't have stopped the deal. "What happened, Valencia won against Barcelona - I think 3-1 or something - and the next morning Van Gaal was sacked, and the deal was off." Undeterred by the failed switch, Hasselbaink settled back into life at Chelsea unaware the imminent arrival of a Champions League-winning manager would finally end his time in west London. "The decision was forced upon me," he says. "(Jose) Mourinho, (Didier) Drogba and (Mateja) Kezman came in and my agent was called and they said I could go on a free transfer. "They wanted me out of the door. I was not spoken to by Mourinho. That is how it is, that's football." Did he feel let down by Chelsea? "Yes, very much so. I would have liked to have had a conversation with Mourinho but he had his plans and I went off to Middlesbrough." It could have been a very different story though. Offered out on a free by Chelsea and still very much a prolific top-flight goalscorer, it is no surprise to discover that some of Europe's biggest names were interested. Besiktas in Turkey and reigning Italian champions AC Milan called. "I wanted to stay in England," Hasselbaink says. "Shevchenko was at AC Milan at the time and they were only playing with one striker. "I was 32 and I wanted to play football week in, week out. They [AC Milan] told me I was going to be the back-up and I didn't want that." In the end, a conversation with his fellow countryman George Boateng persuaded Hasselbaink to head north to Teesside. It was an enjoyable two years for Hasselbaink, with Middlesbrough playing in the UEFA Cup including their remarkable run to the 2006 final. "It was a crazy cup run, that I will never forget," Hasselbaink says. "It was just amazing. I had a really great time with a really nice team. "We had (Gaizka) Mendieta, Bolo Zenden, Ugo Ehiogu, Gareth Southgate and (Mark) Schwarzer. We had a hell of team. It was a really good time." 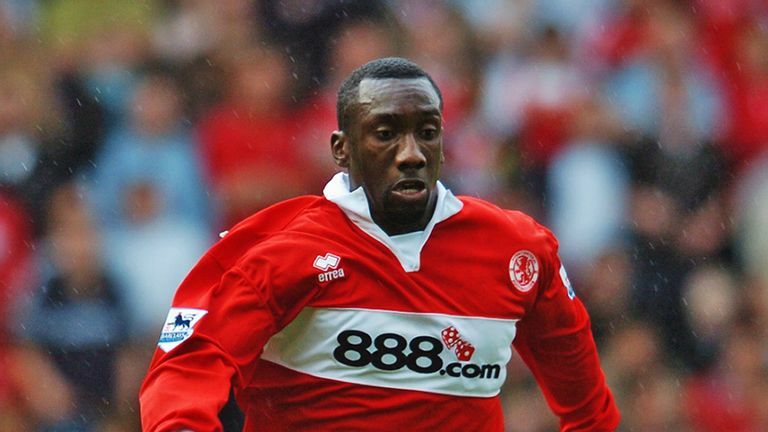 Hasselbaink was again released on a free, this time on amicable terms. Despite a brief interaction with Celtic, nothing materialised and so it was on to Charlton, where Alan Curbishley's departure had left the club in freefall. Iain Dowie's reign came and went, and Hasselbaink's playing time dwindled under new manager Alan Pardew as the Addicks were relegated to the Championship. And that was the next destination for Hasselbaink too. Cardiff stepped forward, where Hasselbaink was reunited with former Leeds chairman Peter Ridsdale and struck up an unlikely partnership with fellow goalscoring veteran Robbie Fowler. "It is a pity that we came together so late in our careers because he was quite knackered and I was quite knackered," Hasselbaink jokes. "We had the brain, but were not as mobile as we were previously. But, his touch and knowhow was very good." Although their league campaign petered out, the Bluebirds defied all odds to reach the 2008 FA Cup final. And so, rather appropriately, the last chapter of Hasselbaink's career would be played out on the biggest stage at Wembley stadium. A 1-0 defeat to Portsmouth ruined the fairytale finish, but just as it had started eight years prior, Hasselbaink's second spell in England came to a close with a major cup final.